Lanesha Reagan on World Mental Health Day: After the hashtags, are you ready to listen? 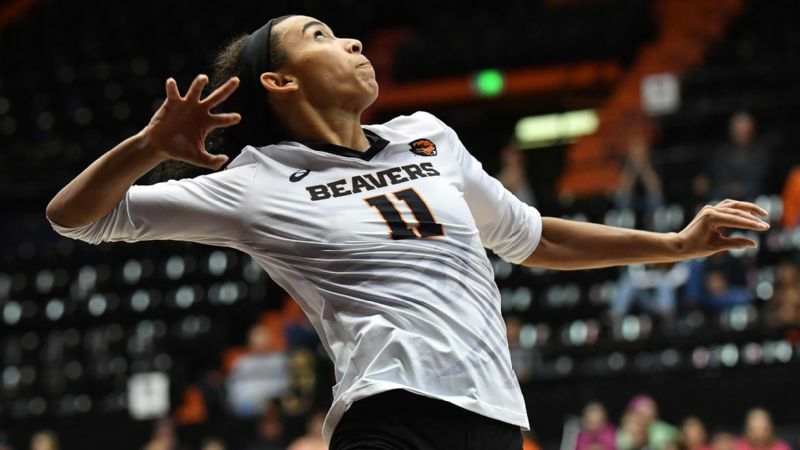 By speaking up, former Oregon State volleyball player Lanesha Regan has helped destigmatize mental illness among student-athletes. 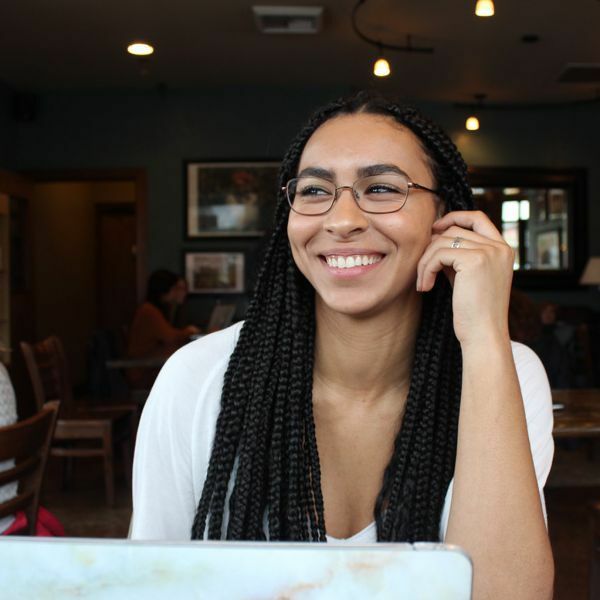 Editor's note: As we recognize World Mental Health Day on Wednesday, former Oregon State volleyball player Lanesha Reagan reflects on the past year and the surge of change she sees in the way we now address a problem that many have suffered with in silence over the years. It's been over a year since Mirin Fader and I spoke about my struggles with mental health. A year. I remember being nervous and sitting against my bed in my room back in Corvallis, Oregon, waiting for an unknown number to pop up. What should I say? How honest should I be? What's going to happen once this is published? For the record; I told her everything, she wrote my story perfectly, I gained an invaluable friend, and my life has been completely changed since that afternoon phone call. Sometimes it feels like everyone has always known about my issues battling mental health, because now I can't imagine my life being any different. It's like a foot has been lifted off my neck. The fact I'm able to bring up that I've dealt with depression, an eating disorder and even self-harm in normal conversations is incredible. Ever since that afternoon, I've been able to breathe. Lanesha Reagan says life after NCAA volleyball and far away from family and friends has been more difficult than she expected. After I graduated from Oregon State in June, I took a fellowship with a strategic communications firm 3,000 miles away from my hometown of Seattle in Washington, D.C. I have been living 30 minutes away from the White House for the past few months. Moving here has been one of the hardest things I've ever done. I had dreamed of starting a new life and career on the East Coast since I was 13, so I thought it'd be easier to leave everything and everyone I love to try something new. But it's been hard, and painful. I've never felt this isolated and unsure. Before this moment, all I had to focus on was school and volleyball. Figuring out who I am without sports is -- well -- it's a work in progress. I'm learning new things about myself every day. I'm still deciding if this is the career I want, or if I want to focus on my writing, or if I want to work with a mental health organization, or if I want to live closer to my family. It's a double-edged sword being open about such personal issues. Now that everyone knows about my past, they come to me for advice or just to talk with someone they know won't judge them. I love being that person for others, but it's a scary feeling when you're someone's last resort. I want to help, but I also understand I'm not a therapist or doctor, and whenever someone reaches out, I make sure I'm not the only person they're reaching out to. I feel such a strong connection to everyone who tells me they've struggled with mental health. That's why when I see another student-athlete or just another person lose their life to this battle, it cuts to my core. I wish I could have done more. I wish I could have talked to them. I wish I could have saved them. While the logical side of me understands that's not my job, and it's impossible to save everyone, I want to show them there still are reasons to be alive, to be here. A common misconception people have about me is that I'm all better now. Some days, it feels like I'm back to where I was six years ago, after my first suicide attempt. There was a night not too long ago where I sat on the tile in the bathroom of my 800-square-foot apartment, stared at the ceiling, and felt numb. I flickered back to the person I used to be. A girl who was sad and who didn't feel like she had purpose. A girl who more than anything wanted to tear apart a razor to feel something. A girl who tried to do just that, but couldn't. Maybe too much time has passed since the last time I did it, but for some reason I couldn't remember how to take the razor apart without cutting my fingers on the blades. I kept slicing the tips of my fingers during a process I used to be able to do in my sleep, but I'm thankful I've been able to forget how to take it apart. Being thousands of miles away from my support system makes me feel a little lost, to be honest. I don't know what's going to happen in the future, I don't know exactly who I am, but I know I'm here. I'm alive, and that's what's important. Life's too short to take that for granted. I'm so proud to have gone to a university that supported me after I came out with my story. I can't explain how many times the support I've received has gotten me through the day and stopped me from doing something I would've regretted. My team, my university, even volleyball has saved me more than once. Even more than that, I'm proud to have been a student-athlete. Two other Oregon State athletes, Taylor Ricci and Nathan Braaten, created the "Dam Worth It" mental health campaign, which has already helped and encouraged so many people and will continue to do so as it spreads across the Pac-12. Victoria Garrick, a volleyball player at USC I had the pleasure to talk to, has actively spoken out about battling body image issues. 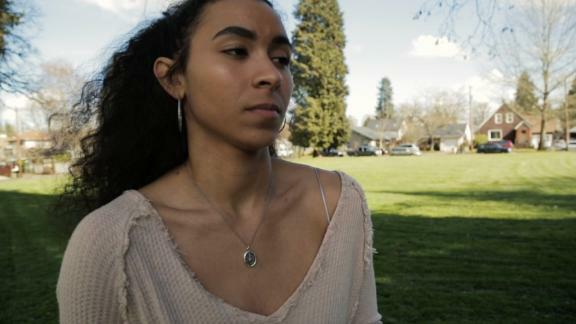 An incredibly powerful essay was recently written by Solomon Thomas, a former Stanford football player, for ESPN about his sister's suicide and the profound effect it has had on him and his family. I can feel a surge of change coming, and that gives me hope and keeps me fighting. People are starting to use their voices to show that this isn't a 1-in-5-person problem; there are hundreds of thousands of people struggling every day with mental health, and it doesn't only affect them, it impacts every person they've ever interacted with. People post and tweet about days like today, using hashtags to show their concern for others, but when the next day comes, they move on with their lives, waiting for the next hashtag to come along. This isn't a one-day-a-year thing. The people in your life aren't struggling with depression or self-harm or their eating disorder once a year. This is something that will always be with them, so you should be, too. You don't have to wait until another World Mental Health Day comes along, because there's never a wrong time to reach out. Someone I spoke with a while back asked me if I thought I had started this movement of student-athletes speaking up about their mental health issues. I didn't have an answer to that at the moment, but now I do. No, I don't think I started this. I think this was a long time coming. Athletes have been speaking out about their struggles for years to people who ignored them and who didn't want to listen. To those who have spoken out before me, thank you. Thank you for being brave when your coaches, teammates, friends and family weren't supportive. To those who didn't speak out, I'm sorry you struggled in silence. I see you and I hear you. If it gives you any type of comfort, I think maybe now everyone's finally ready to listen.